I hope that a very happy Thanksgiving! Dan and I had plans to travel to Idaho for a visit with my dad's parent's but becuase the weather was so bad, my grandma cancelled:( Don't worry, I had a turkey in my freezer and I whipped it up for Dinner...along with my mom's help we made potatoes and gravy, stuffing, carrots, cranberry sauce and blueberry pie! We had a very enjoyable meal with my family and relaxed for the rest of the evening, it was perfect! Dan and I went to the movie TANGLED which is my new favorite movie! I would recomend it to anyone! 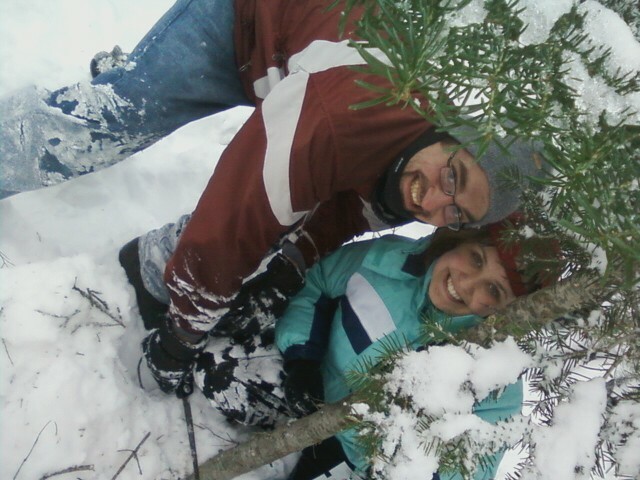 Saturday we went with my family up to Idaho and cut down our Christmas tree! We had so much fun, even though it was ver very hard work! 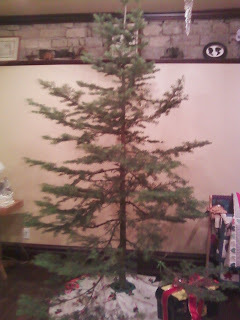 I started out freezing and by the time we cut down the tree and hauled it to our truck, I was sweating! Last week in church one of the speakers challenged each of us to write down 25 words that we would want our posterity to know. I have really been thinking about it this week and decided that I would put it down here, I have to say that comming up with only 25 words was very difficult, but here it goes! I challenge you to the same! Jesus Christ is our savior. He suffered for our sins and heartaches. Joseph Smith restored the gospel, it is true. Temples seal families for Eternity. I hope that you all had a very terrific Thanksgiving! Ooo it looks fantastic!! Can't wait to see it all lit up! I love real trees. Never chopped one down myself though. 25 words is kind of tough, looks like you covered the important stuff. 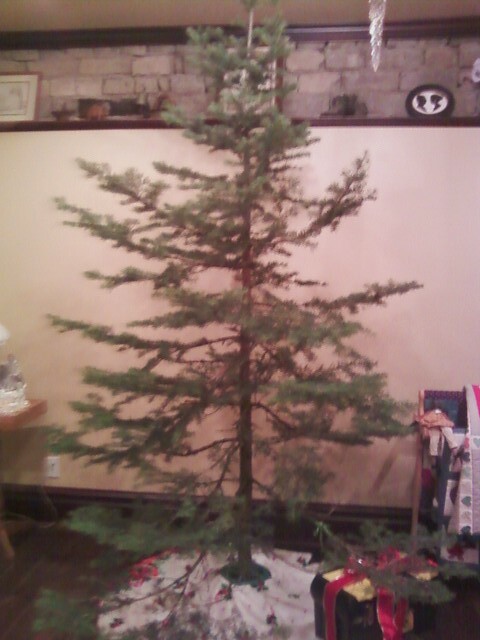 What a cute little tree! You beat me getting that up this year! I'm glad your Thanksgiving was so wonderful; Billy's mom took Nathan to that movie but we have yet to see it.